Hello all. It’s the start of the new year (I’m mean it’s already 20 days in but nevermind) so I decided I would try and find my blogging motivation. It may be a new year but it’s not a new me. I’m just as boring as I was before and just as unorganised! 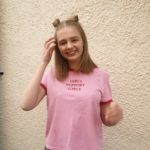 I’ve recently really wanted to post on here but I’ve just felt like I was writing absolute crap, to be quite honest. 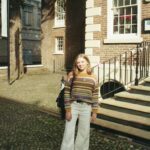 Every time I’ve come to write a post I’ve ended up either crying or got in a mood because I can’t do it. I’m currently trying to block out that mood and write this post. I really want to get back into my blog so I’m using the new year as an excuse. My plan is to primarily post fashion content; like outfit posts, the occasional haul, posts about catwalks and collections and all that jazz. 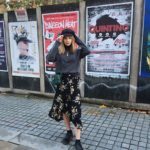 But I thought I’d start this year off with a classic outfit post! 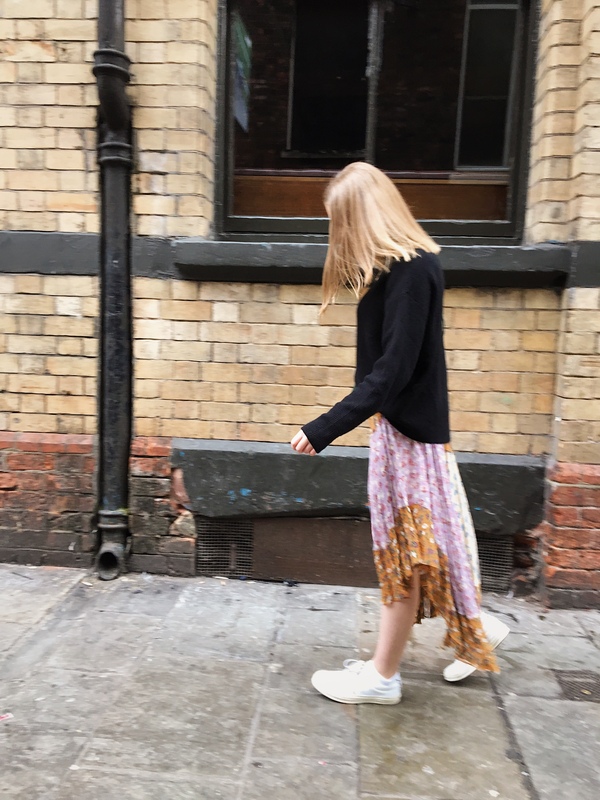 I first spotted this skirt when it first came on the Zara website and adored it. But for the £80 price tag it wasn’t going to happen. However as they say, patience is key and I treated myself to it in the boxing day sales, for only £30 which I was pretty chuffed with. I did have my doubts to if it would suit me as I do feel like a pregnant hippie mum when I wear it but at the same time I’m so in love with it. Obviously it has an asymmetric hem, we can’t really expect anything other than that when it comes to me. And it has a floral patchwork design which I’m so obsessed with. It has orange, lilac and light yellow fabric with a detailed floral pattern on. The fabric is super light and flowy and because there is a lot of fabric, as it’s gathered at the waist, it drapes really nicely. This skirt will never be leaving my wardrobe, I’m so in love with it. 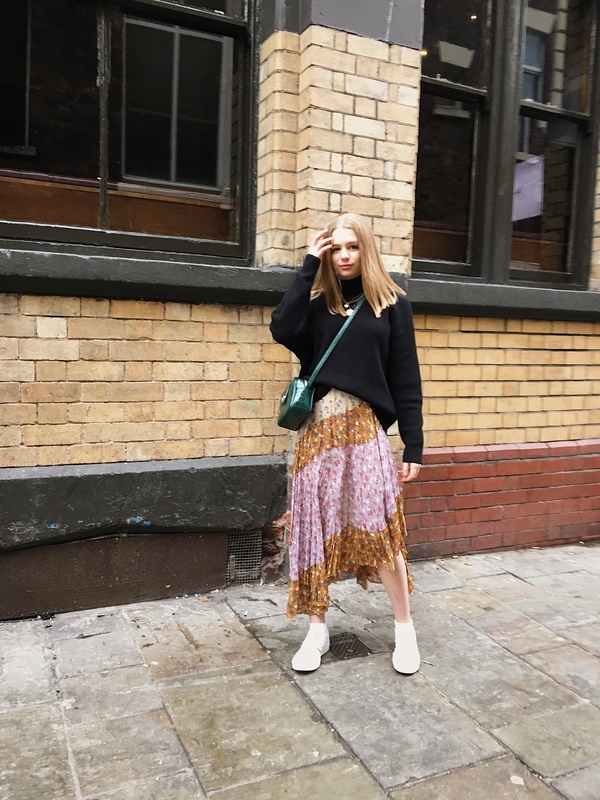 As I love the baggy vibes, I paired the skirt with a simple black knit jumper from Zara. I adore this jumper, it’s such good quality as it’s quite a thick knit. And it has a super loose fit which is best for me as I prefer a baggy fit! I just loosely tucked the front of the jumper into the skirt and left the rest of the jumper hanging loose. I love the plain jumper with the skirt as it makes the skirt the main focus of the outfit. 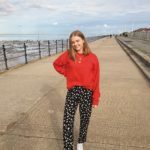 This jumper was also a bargain from Zara, it was originally £30 but I copped it for £15. I wish I bought the cream one as well but I clearly had high self control levels that day compared to usual! Then finally to switch things up, I’m wearing something that is not from Zara! On my feet are my usual shoe choice, my white one star Converse. I adore these shoes, I just throw them on with everything and anything. 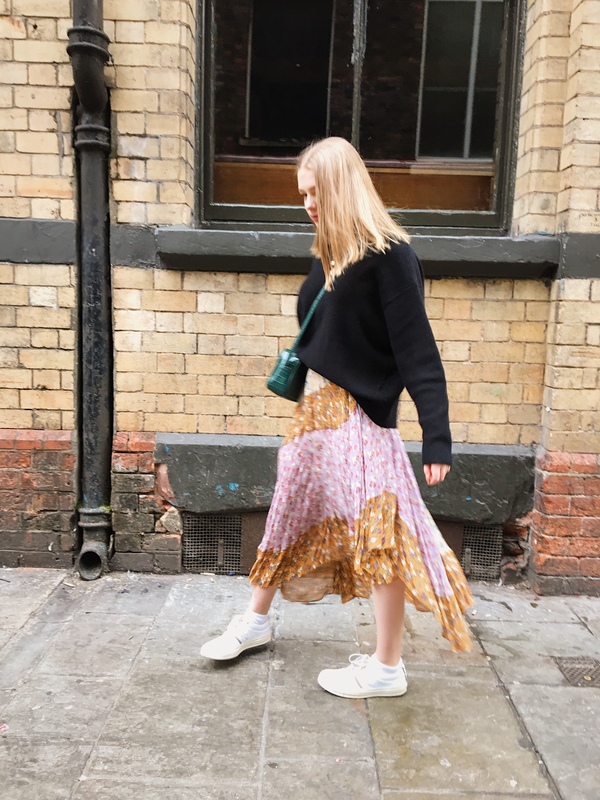 Pairing trainers with a long skirt makes your outfit so much more casual so perfect for day to day wear. Hope you enjoyed reading and I hope I will be posting more often that I have been! I could never pull off this outfit, I’d look like I’m drowning in a curtain – but you look incredible in it!! What a bargain by the way! I think I remember commenting on IG saying how much I loved this jumper too. I love this skirt so much and you look so good! 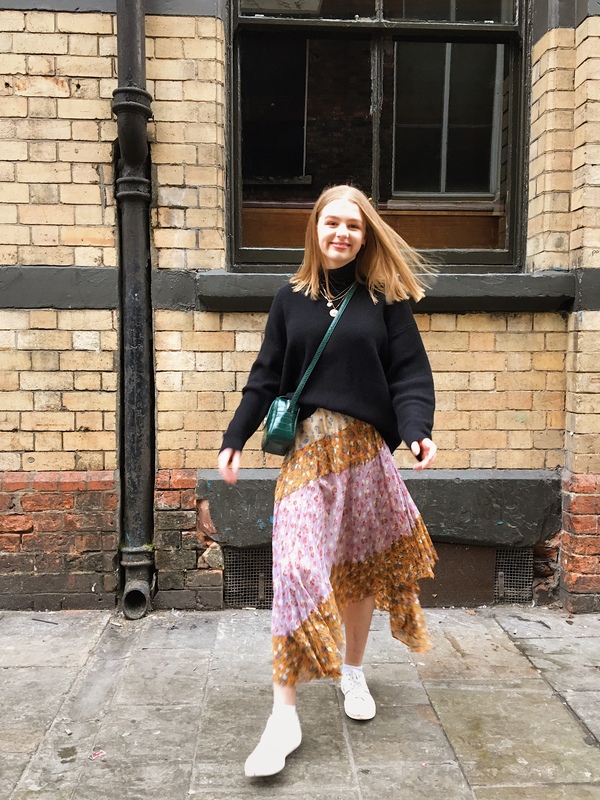 I keep meaning to try and style up my midi skirt that I have lying around in my drawer – need to get myself a black jumper! The floral print, colours, design, look of the fabric and drape of that patchwork skirt are very pretty! I love how you styled it in your outfit. Your blog posts are always fabulous. Happy Easter and best wishes for happiness and a wonderful year.